NOTE: Sturt Gorge Recreation Park also contains the Craigburn Farm trails, refer the Craigburn Trails page for details of the Craigburn trails. 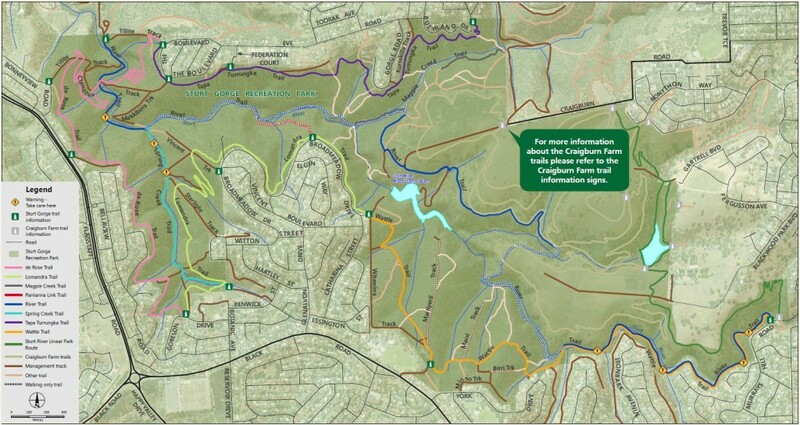 Yes Sturt Gorge Recreation Park Trails Map – available from DEWNR web site Sturt Gorge Recreation Park. Sturt Gorge Recreation Park is located 13km south of Adelaide. There are several entrance points on each side of the park. By car: There are several small car parks on each side of the park.